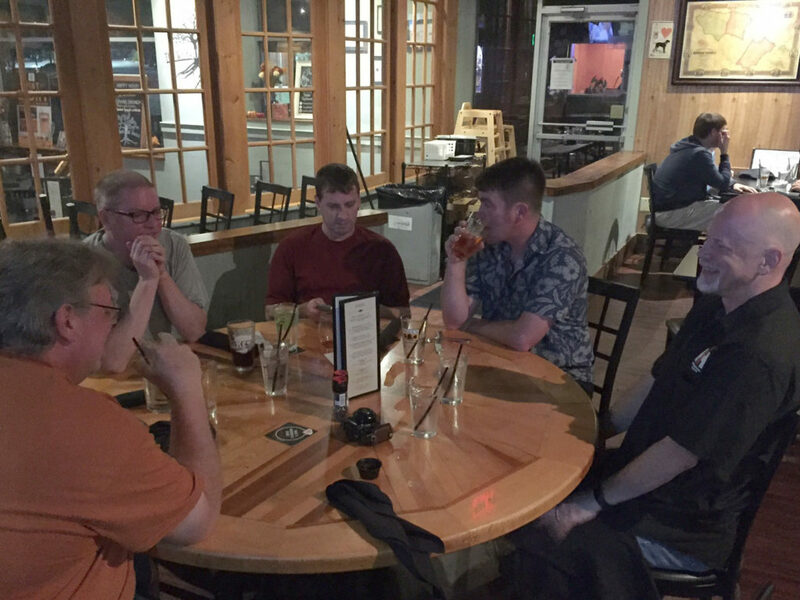 We had a real nice turnout for our Maryland meetup last night, although Brian and I were the only ones to show up in a Scout. Erik and Brian came over from the Eastern Shore, and our two Brians came even though they don’t currently own IH. Bennett surprised Brian with a check from partial proceeds of the auction at Nationals this year, which was super cool of everybody there. We caught up over beers, told stories, and made tentative plans to get together in the fall.